First-year coach Kevin McNulty inherits a team that matched the most wins in school history last season. Outlook: First-year coach McNulty inherits a team that matched the most wins in school history last season. 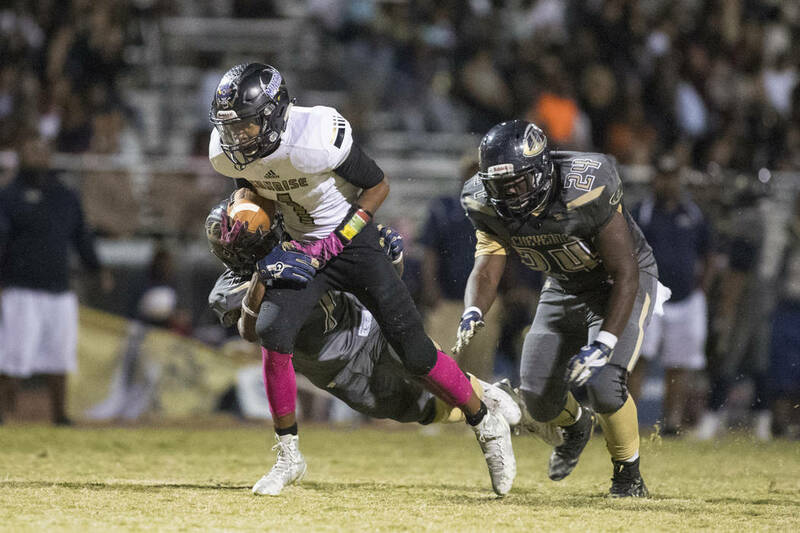 The Miners advanced to the Class 3A state quarterfinals before losing 48-0 to eventual state champion Desert Pines. Three of the team’s five losses came to teams that have moved up to Class 4A. Hayes is back to lead the way at quarterback after passing for 1,591 yards and 16 TDs with five interceptions last season. He also rushed for 268 yards and four scores. But most of the rest of the team’s offensive production is gone. Running back Ward (1,380 rushing yards) and receivers Love (34 catches, 628 yards) and Xavier Kyles (40 catches, 570 yards) combined to score 36 touchdowns. The defense also took a hit with the graduation of leading tacklers Rollins (161 tackles) and Spates (104 tackles).